York Place is a Saline neighborhood with a natural country setting, the large homes have a minimum of 4 bedrooms and many of the lots have an acre of property. There are currently no homes listed for sale and so far this year, 2 have sold. $469,000. 574 Darwin Ct., Saline. 2707 sq. ft., +984 in finished lower level, 4 bedrooms and 3.1 baths. $465,000. 422 Sydney Dr., Saline. 3065 sq. ft., + 825 in finished lower level, 4 bedrooms and 3.1 baths. Last year at York Place, 2 homes sold with an average sale price of $466,250 and an average price per square foot of $128.00. The 1 home sold this year has an ASP of $467,000, up slightly, and an A$/SF of $162.00, up 27%. To learn more about home values at York Place, contact the real estate specialists with The Bouma Group at (734)761-3060 or email info@bouma.com. View more Saline neighborhoods here! 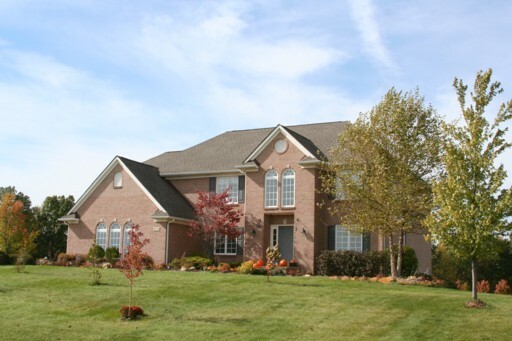 York Place is an upscale Saline subdivision located in a beautiful setting in York Township. There are currently 2 homes listed for sale and so far this year, 1 has sold. 552 Darwin, Saline. $429,900. 3173 square feet with 4 bedrooms and 3.1 baths. 8867 Sydney Drive, Saline. $395,000. 3229 square feet with 5 bedrooms and 3.1 baths. In 2011, 9 homes sold with an average sale price of $392,289 and average price per square foot of $130.00. The home that sold this year has an A$/SF of $122.00. For more information on homes at York Place, or Saline Real Estate values in general, contact the specialists with The Bouma Group today at 734-761-3060 or email info@bouma.com. Search the Saline MLS for homes here!